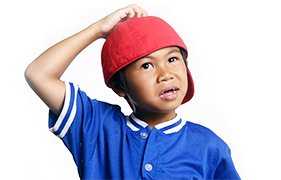 Receiving a diagnosis for your child can be a confusing and sometimes overwhelming event, particularly in regards to the commitment that this now means financially for your family. At Aspire we believe in assisting families in gaining access to the various funding schemes that are available. Below are links that may assist your family, ensuring that you are receiving all the benefits you are entitled to, optimising the therapies available for your little one. For those families that have a child under the age of 7 that has recently been diagnosed with an Autism Spectrum Disorder or other recognised disability (such as Down Syndrome, Cerebral Palsy, Fragile X Syndrome, Hearing and/or Vision impairment) you are eligible for early intervention funding. Access to these packages assists families in obtaining early intervention services for their newly diagnosed child. Please note though, these packages are only for children under 7 years of age with the appropriate diagnosis. Aspire is an approved provider for both packages, meaning that you can use your funding to pay for your child’s program with us. For more information on the application process and eligibility criteria please visit the official DSS government website. If your child has recently been diagnosed or is considered to have a disability and your family is living in an area where the NDIS has already rolled out then you may be eligible to receive funding under this scheme. If your family lives outside of these regions and your child meets the access requirements for NDIS funding then you will need to check the NDIS website for the latest updates on when the scheme will be rolling out in your area. 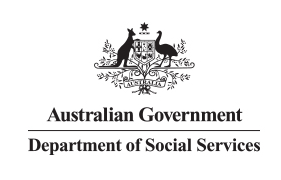 Each application for funding under the NDIS scheme is different and involves the compilation of various reports which include goals and recommendations. These recommendations are then presented to the child’s allocated NDIS Planner who ultimately makes the final decision on the level of funding that the applicant will receive. Aspire can assist clients with the assessment and completion of these reports so that funding applications can be submitted and hopefully approved. Please note that our reports do not guarantee your funding approval but do provide recommendations in regards to the type and the amount of therapy that our qualified Program Managers believe would achieve the best results for your child. Should you require an assessment report for your upcoming meeting with the NDIS please contact our office. 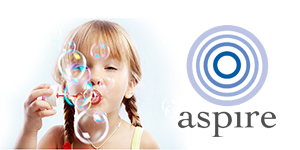 Aspire is a Registered NDIS Provider in the states of NSW and ACT. Families that are living in regions within these two states where the scheme has rolled out and are enlisted in one of programs can use their NDIS funding to pay for Aspire services. For more information on the NDIS, what is available and how to go about accessing the scheme please visit the official NDIS website.